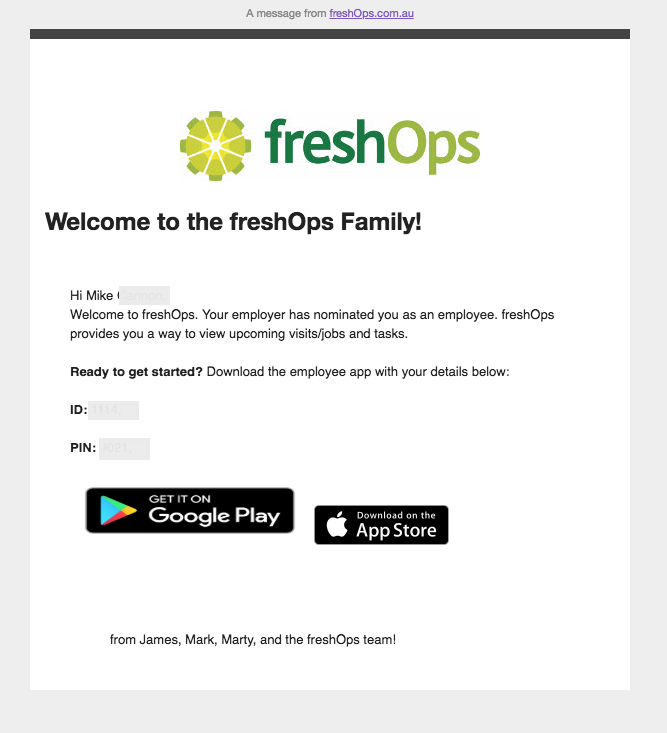 When you CREATE a New Employee in freshOps, the system automagically sends your Employee a Welcome Email. Staff will receive an Email similar to the one below. All your employees then need to do is follow the Link to the appropriate App Store, Download it, and Enter in the User Credentials provided in this email. If the have misplaced the Welcome Email, you can resend it.